For decades I imprisoned myself in a job I hated because of fear. Fear I wouldn’t get another job. Fear I wouldn’t get a comparable salary. Fear my skills weren’t good enough. I was imprisoned by a scarcity mentality that extended to everything else in my life including family, friends, dating, and working relationships. The turning point came in all my relationships when I started my recovery from alcoholism. For all those decades, alcohol was my medicine. It numbed me from an early age to emotional pain. It was my defense against letting others get close. After all, other people were only bound to hurt me. It kept feelings of fear and anxiety at bay. But it also created a solitary, stagnant life where nothing good could really get in. I had stopped maturing and honestly didn’t have much to offer, either. That all changed with recovery. In a world without my addiction, new and endless possibilities opened up. My world changed around me in ways I never imagined. One of the most important things I learned to change was my view on the world. I was moving from a world of scarcity to one of abundance. What is a Scarcity Mentality? A scarcity mentality is how people’s minds work when they feel they lack something. That “something” can be anything, such as time, money, friendship, food, etc. It’s a zero-sum game which means if you take a slice of the pie, there is less for everyone else. When you have the perspective that you are lacking, it changes how you behave. In Scarcity: Why Having Too Little Means So Much, authors Sendhil Mullainathan and Eldar Shafir describe how there are benefits to scarcity. For example, if you have no money, you’re very sensitive to costs and you can become good at budgeting. Lonely people are better at deciphering emotions. The downside is that feelings of scarcity can lead to aggressive competition over resources, war, anxiety, and fear. Being stuck in a scarcity perspective is also self-perpetuating. Studies have shown that being stuck in a scarcity mindset is a primary reason that poor people have so much difficulty escaping their surroundings, even with substantial and more-than-adequate support. Having an affair when either partner is married is an example of scarcity mentality. It’s a way of saying, “I must have this person because I’ll never find another like her/him. They are the only one for me and I’m going to take them away, despite the risks and consequences.” Sure, there can be other things at play such as an attraction to danger, rebellion, or jealousy, but underlying it all is fear and scarcity. Settling for a person you know isn’t right for you is another example. Fear that “all the good ones are taken” prompts you to accept a relationship that’s not fulfilling for either partner. True and useful fear is the kind where you’re crossing the street and suddenly see a car coming at you. It causes you to jump out of the way. So yes, fear has its place. Debilitating fear is the false kind that keeps us locked into the old familiar ways of doing things because, well, that’s the way we’ve always done things. We rationalize any given behavior a hundred ways so we don’t have to face a fear. – a belief that the possibilities are endless, that there is enough to go around. What Does an Abundance Mentality Look Like in Dating and Relationships? It starts with the belief that there is indeed someone out there who is right for you and that you are worth it. In fact, there are many such ideal partners out there, perhaps hundreds or thousands. You never have to settle. An abundance mentality at its worst would say that even if there’s only one right person out there for me, we will meet. There might be long periods of time in which you date a string of the wrong people. Then you hit a good patch and things start to look up. The right person can suddenly appear. In this age of instant gratification, it pays to remember that we should expect times of waiting. Sometimes we must go through a dry spell to learn a lesson about who we really want (or don’t want) as a partner. Perhaps we need to work on some defects of character that are preventing the right people from being attracted to us. It requires desire for a good, healthy relationship. If you have the desire to find your true love, you’ll welcome the introspective work that’s needed to ensure you’re a good partner for someone else. You’ll also take the time to figure out exactly what you want in your ideal partner. You’ll move from exploiting to exploring. 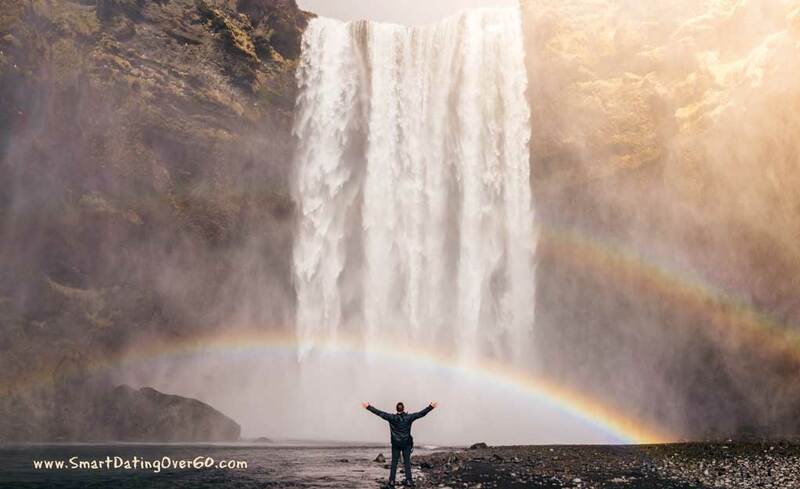 With desire fueling your search, you won’t be afraid to explore new things. For example, if online dating scares you, try it anyway. Remember, most of that fear is false. 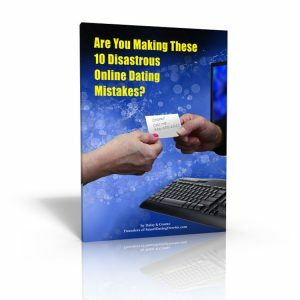 Of course, as a newcomer to online dating, you’ll do it with common sense and safety in mind. I remember I was fearful of online dating but it was one of the best decisions of my life. It’s how I found Daisy. When you’re in “explore” mode, you’ll be open to dating all kinds of people you might not have dated in your younger years. Remember, the possibilities are endless when you are open to them. If you feel more anxiety and fear about your dating life than you do excitement and fun, you might be viewing the world with a scarcity mentality. With an abundant world view, you can rest easy in the fact that there IS someone out there who is perfect for you. It only requires desire, a little introspection, and the willingness to explore new things. Have a dating story to share about a scarcity or abundance mentality? Share it with us below. And be sure to join our Free weekly enewsletter for more dating tips like this every week! 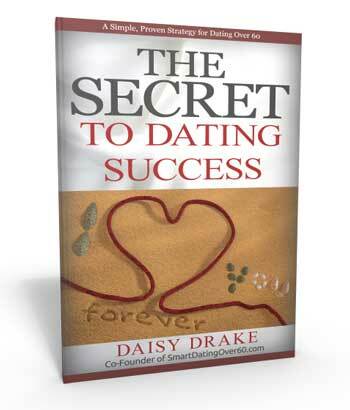 Plus get instant access to The Secret to Mature Dating Success. Tell us where to send it using the form, above right.